"It's better to give than to receive." It may be cliche, but I couldn't agree more! And thanks to ZhuZhu Pets, I was able to do just that through an amazing charity program called "Random Acts of Zhu." 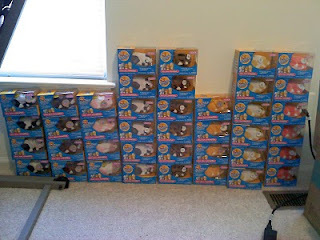 Dozens and dozens of ZhuZhu Pets, the number one toy of 2010, arrived at my door for me to donate to the charities of my choice (those are just a small portion in the photo above). 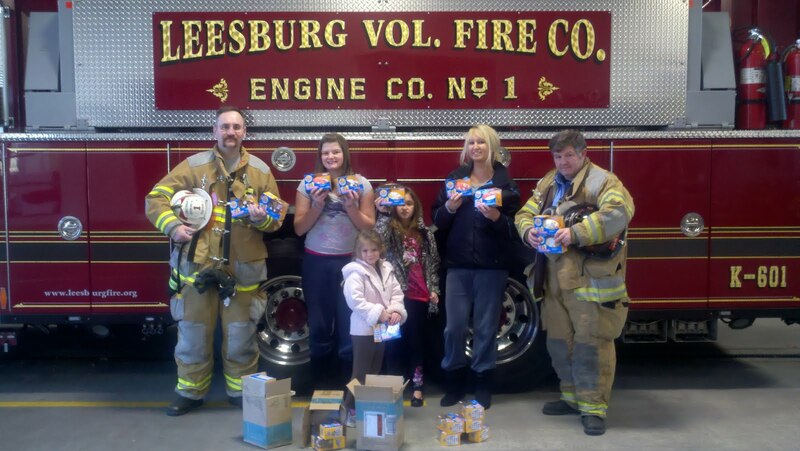 My fiance and I took our daughters to our local police and fire departments to personally donate the toys and the remaining ones went to a local prison ministry. We donated more than 100 ZhuZhu Pets in total! The Leesburg Police Department has several community outreach programs, including Recreation Outreach to Community Kids (R.O.C.K.) which is a free service that provides positive recreation and leisure activities to area youth through after school and summer programs. 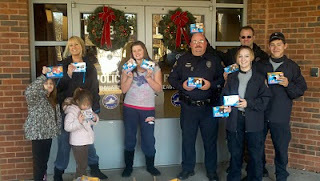 The local prison ministry received the remaining ZhuZhu Pets after a request went out for toys for children of prisoners. We were so happy to be able to respond to the request and help in giving these children a happy Christmas! ZhuZhu Pets was also kind enough to provide me with their new line of Kung Zhu Pets and accessories for review so stay tuned for a post about these fun toys soon! And remember...your local charities need help year-round, so please do all you can to support them today and every day!